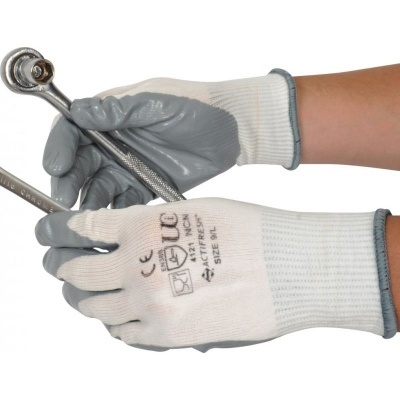 The NCN-Nitrilon Nitrile Coated Nylon Gloves are superb in offering grip in dry conditions. They can also provide resistance to oils, fats and grease. 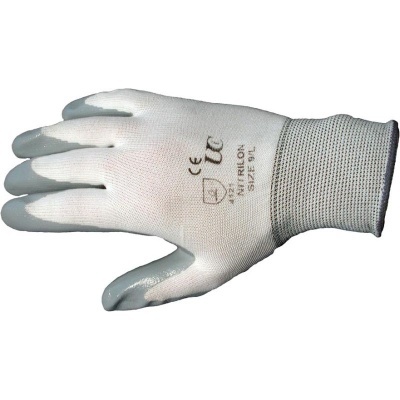 Their tight, close fit, excellent comfort and strong dexterity make these gloves extremely versatile. 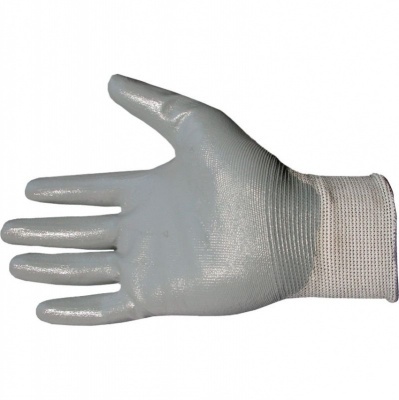 Best suited to general or precise handling, these gloves are specially designed for extended use with their Sanitzed hygiene solution. The NCN-Nitrile Gloves are designated Category II gloves, meaning that they should be suitable for most mediumweight tasks. 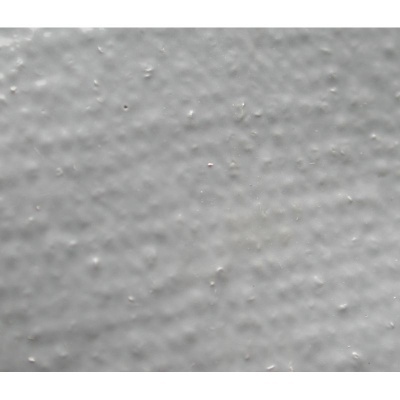 They are best suited to dry environments and are resistant to oils, fats and grease. The NCN-Nitrilon Nitrile Coated Gloves are available in five sizes that should suit the hands of most users. Please measure the circumference of your hand around the knuckles (excluding the thumb) with your hand open and your fingers together, and the length of your hand from the tip of your middle finger to your wrist.